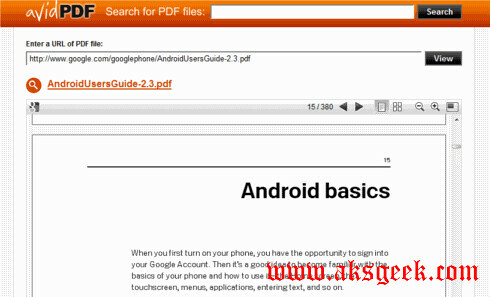 avidPDF is a free web service for viewing PDF files online. If you think this is it? NO. It is also PDF search engine which let you find your favorite PDF file. But.. this service missing one thing (that’s what I feel) i.e PDF file uploader so that we can read our stored PDF file online when no PDF file viewer software available. I know its not compulsory or the most important feature which is missing but it makes avidPDF full featured free online service. What you thought about this service. Share with Us.